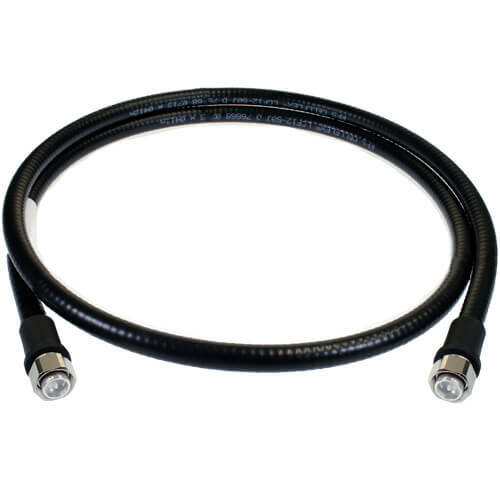 43M43ML12-060FFP 6 Ft 1/2" LCF12 Cable Assembly 4.3/10 Male to 4.3/10 Male - Talley Inc.
CELLFLEX® Premium Factory-Fit Jumper Assembly. Feature specially designed connectors which are soldered-on in a strictly controlled industrial process to ensure industry leading performance for today's high-performance wireless systems. The connector design and manufacturing process has been optimized to produce premium VSWR and IM levels. Heat shrink boots provide reliable and repeatable additional sealing level and strain relief.